It seems like they are welcome everywhere, in restaurants, hotels, boutiques and stores. I read that there are over 300,000 dogs in Paris! 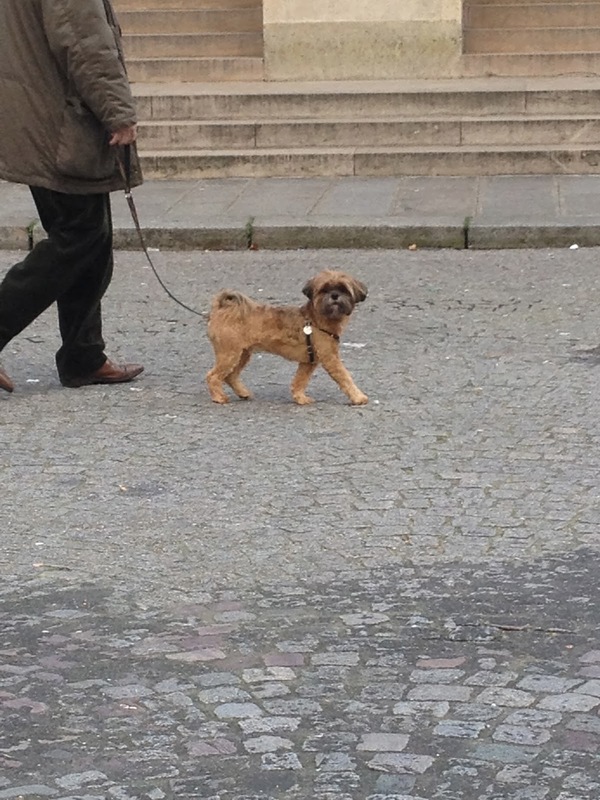 Since I love dogs too, Paris was dog heaven to me! With my new lightweight camera in tow, I set out to photograph as many Parisian dogs as I could without upsetting their owners! This little guy was so interested in us! I even spotted a Tibetan Terrier who reminded me so much of my Dexter. I'm not sure exactly what kind of dog this is! At the flea market I spotted a dog that looks just like my Oscar! He seemed quite at home at the flea market, roaming his little narrow street, greeting customers. If dogs aren't your thing, cats are also everywhere. 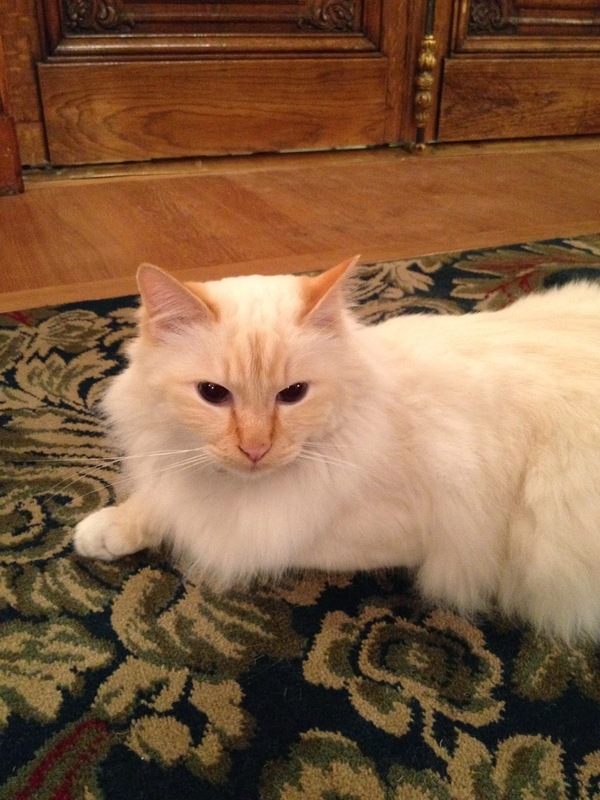 We spotted this kitty who lives at the Bristol Hotel. Ashley fell in love with her! 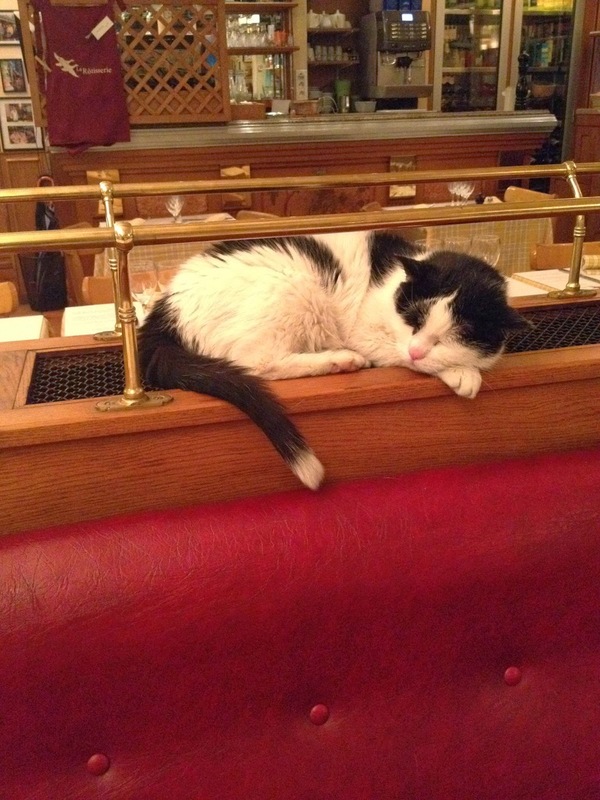 We went to a restaurant the last night who had a resident cat. He has lived there for 18 years! 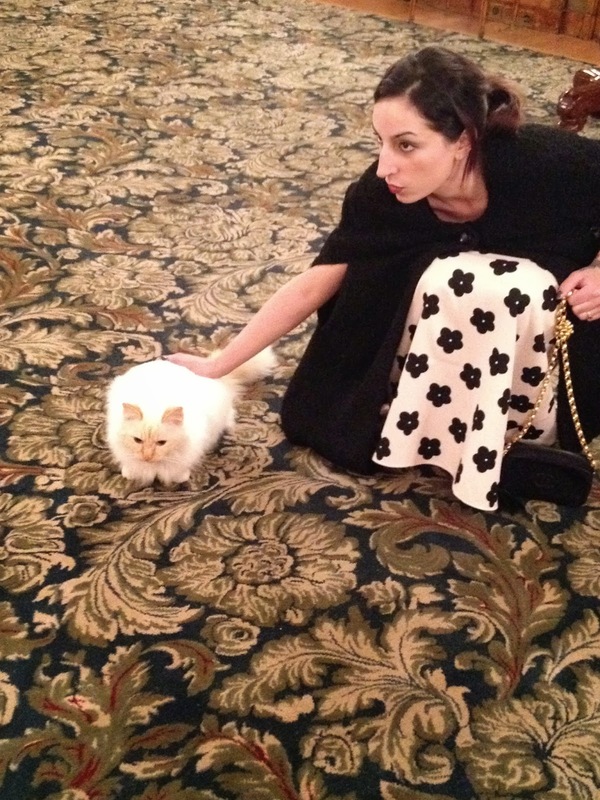 You certainly wouldn't find cats or dogs in a restaurant in the US! Seeing all the Parisian dogs made me miss my fur babies, and when I got home, Oscar and Bear were so happy to see me! But not as happy as I was to see them! When I'm away I miss my fur babies too. It's wonderful to see others elsewhere! Delores, I would miss our Sadie! In fact, we've not taken a trip since Sadie came to live with us. I've been away on short get aways, but no real travel. Glad you had a terrific time. Welcome home! Loved all the pictures! Is Bear new? He is so beautiful. I wish places were as dog friendly here in the United States. Looks like you had a wonderful trip. Thanks for sharing. Oh how I enjoyed this post, Delores! Loved seeing all the dogs and cats. What cool post, I love dogs too <3 and what nice dog this white one in the second picture , what breed is? We have not this one in Brazil, I guess ... I never see it before and I use to get show dogs sometimes. Aw very cute pictures. But I swear that tiny black dog looks like a miniature pig LOL I bet you were glad to get home to yours - they are lovely! Wow. Your doggie, Bear, looks just like our dog, Mollie! It's all solid, too, except, Mollie's brindle coat is darker. But still, I never see dogs that look like her, she's such a mutt. I think my favorite thing is that new light. It's gorgeous and goes perfectly with your decor. I love a big trunk too. It's always nice to have a decorative item that doubles as storage. Move Over Canon, There's a New Kid In Town! Eating And Drinking Our Way Through Paris!